Many thanks for giving me the opportunity to be part of the 2018 Dublin plein air festival. I felt that it was well organized and proved to be a wonderful experience and great fun for all involved! No doubt next year it will be even better and can only go from strength to strength. Thanks so very much for a great week of plein air painting. It was organised so well I have nothing but good things to say! I got a lot out of the Dave West workshop and it was very kind of Norman to raffle his work! The atmosphere was great and I loved that the emphasis was on fun and enjoyment. Well done. Hope to see you next year. 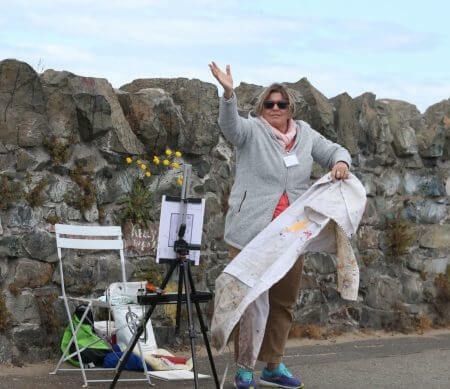 Dublin Plein Air is so good and so friendly; a huge advertisement for painting-friendly and for the beauty of North county Dublin. See you next year! This was my first year doing this festival, I wasn’t sure what it would be like but it surpassed all expectations! It was so well planned and run, everything was thought of and taken care of. From the choice of locations and having a base to work from to the social evenings and our goody bags from Rush, the planning and execution was top class! I went to five of the days and enjoyed every one. There was a lovely atmosphere and everyone was friendly and helpful and cheerful! I’m not a Plein air painter usually, but I plan on being one for a week every June! Thank you for a wonderful wonderful week!!! – Inspiring artistic talent and on display after every day’s painting. – Something for everybody in the workshops from top practitioners throughout the week. – Beautiful painters’ light on the Dublin / Fingal coast. – Organised superbly in a spirit of friendship and fun. What a wonderful week I had at the Dublin Plein Air Painting Festival! It was extremely well organized but had a lovely informal vibe about it that made me feel very relaxed and welcome. It was great to be among all types of artists out enjoying the varied locations throughout the week, and the social evenings provided a great opportunity to chat and get to know each other. The workshops given by the best in the business were fun and informative and definitely the icing on an already scrumptious cake! I will absolutely be signing up for next year and would recommend this festival to anyone who wants to get out there and paint. I’ve spent a glorious sunny week painting out at the Dublin Plein Air Festival. 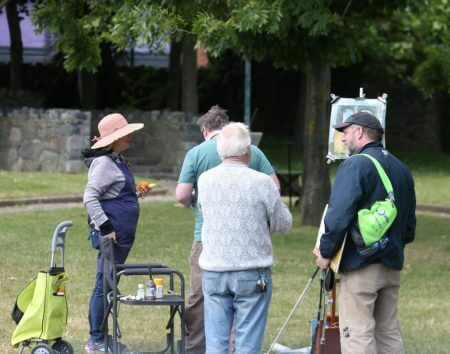 One of the nicest things about the Dublin Plein Air festival is the friendly atmosphere from both the fellow participants and the local people. The daily exhibition and prize giving gives everyone a chance to view each others work as we progressed through the week and gave a great opportunity to meet all the other artists. I participated in the daily paint-outs in addition to tutoring at the festival and have to say that the running and organisation of the festival was second to none: everything was taken care of including the practical considerations like free parking and where to get lunch and art materials. 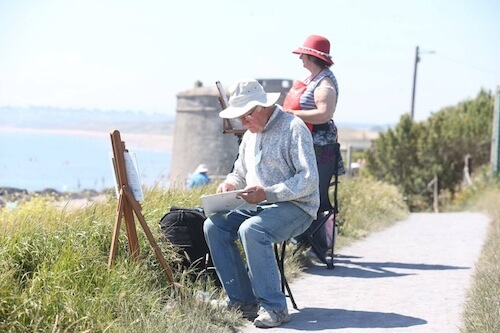 North County Dublin or Fingal County as it’s known has so many fantastic spots to paint – everything from villages lanes with thatched cottages to rolling fields, cliffs, mountain views, and of course the miles and miles of stunning coastline. For a marine painter like myself the working harbour of Fingal are some of the best anywhere for painting as they have kept their old wooden fishing boats and in may cases the original stone harbour walls keeping them full of character. 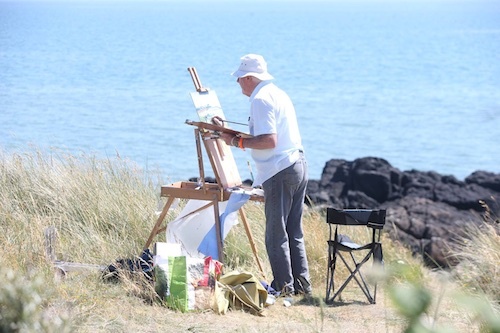 What a wonderful week, Dublin / Fingal is always blessed with perfect weather whenever the Plein Air Festival starts. Thank you Paul and team for all your hard work, minding us, encouraging us and without fail picking inspirational paint out spots. Your research and behind scenes organisation was reflected in the wonderful welcomes we received all week, especially Rush. The workshops were ideal, in the mornings enabling us to put into practice our newfound knowledge. The fellow artists were also so friendly and eager to share their stories and advice. What a wonderful bunch we are, so glad to be part of it. I only attended for one day this year, but was so impressed and will hopefully do a whole week in 2019. I was impressed by how well organised everything was, from initial enquiry to registration to the smooth running on the day. You even organised the weather too. We were in Rush and attended the watercolour workshop which was very interesting and informative. Looking forward to meeting up again next year. Thanks for a wonderful day and festival. 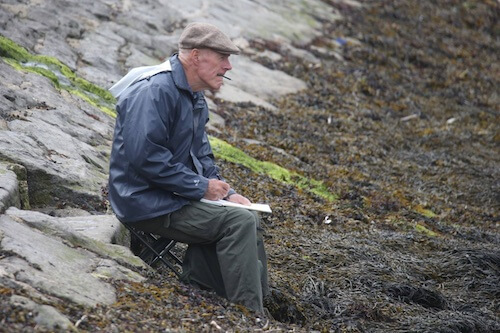 I’m writing to say how much I enjoyed attending the Dublin Plein Air festival this year. It was very well organised, with interesting venues planned, parking, meals and even a bbq being organised, and what I’ve enjoyed so much is being able to look at all the work at the end of each day. We got a chance to put artists with their work which is so interesting. And there was a great variety of artists this year from all over the world. Each day was a new adventure! You even sorted the weather!! Thanks again for a wonderful week and I’m looking forward already to next year. I will be there next year all going well and thanks. I think we are very lazy on the south side of the city and really miss out on the towns to the north. As a child I went to all those beaches they were our Sunday entertainment with my parents even though we lived on the south side it seemed easier to get to them than they do now with all the motor ways. Some of them like Swords I had not been in for over 50 years and all of them are full of pleasant surprises and of course completely changed. So I am enjoying myself very much!!! I decided to attend the first Dublin plein air painting week in 2017. I was an innocent abroad. While I had done some painting previously, I had never painted en plein air before. I wasn’t expecting the friendly atmosphere that existed on the plein air paint out. I signed up for 2018, again I met many of the people who had done the festival the previous year. I am a beginner, but was made to feel very welcome. The master classes were brilliant. I will be signing up for 2019. Thank you for a fantastic week. It has been a joy to be out painting with such lovely people. There is a warm sense of comradeship amongst the artists. Being in a different venue each day has been fun and challenging. I couldn’t make the weekend and wasn’t able to stay most evenings for the judging but I’ll be back next year and block the whole seven days out! Having been away from art for almost 20 yrs I was fortunate to meet a colleague who suggested I attend the Dublin Plein Air festival. I am thrilled I did just that. 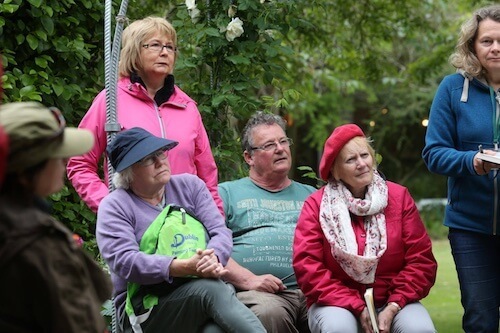 I had a wonderful week of challenging art, a delightful week of social contact with like minded passionate artists, and a week of participating in a superbly well-organised festival by Paul D’Arcy and sponsored by Fingal County Council. Come along and have a look. Then join up fast!! 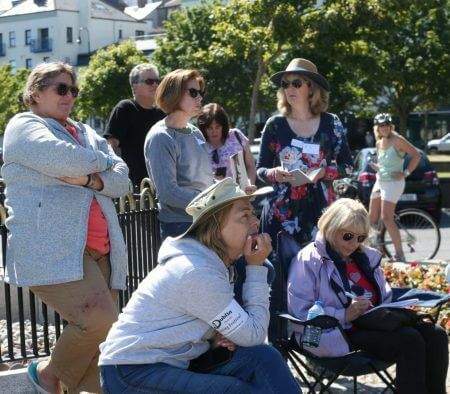 Taking part in Dublin Plein Air for the first time as a complete novice has been such an enjoyable experience, the festival is so well organized and welcoming and everyone has been so friendly. I am learning something new every day , and it really is helping my confidence. The locations are well chosen and I love getting to know North county Dublin , which looks fantastic in the good weather. 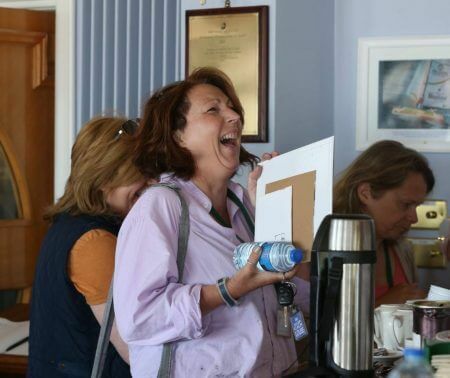 I found the festival very well organised and each day was run in a relaxed and personable atmosphere. Paul had a great understanding and empathy with everyone. I found his encouragement, generosity and knowledge all contributed to my overall enjoyment of the festival. 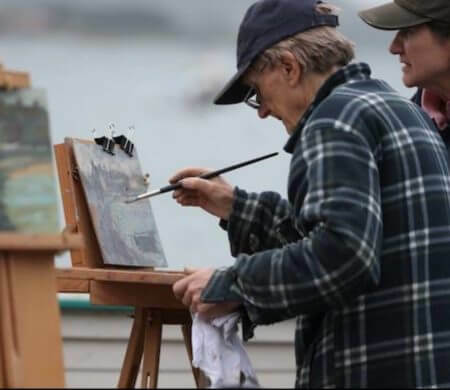 His back-up team of Teresa and Pearse, did exceptional work and their easy manner helped dispel any nervousness I had as a rookie Plein Air artist. The week was a fantastic experience and I found everyone participating to be so friendly and generous. The camaraderie and the buzz increased my confidence day by day and as a result the standard of my work rose with every piece I tackled. A magnificent experience, beyond my expectations. Well done to all involved. With gratitude and best wishes for the future. A Big Big Thank you to Paul and his team for a wonderful week. Superbly organized & terrific fun. It really got my head immersed in the painting zone & l learned so much (in beautiful weather too!). And to meet so many other “paint heads” (excuse the expression!) like myself was amazing, because the urge to paint & draw is a mystery to most people l know. 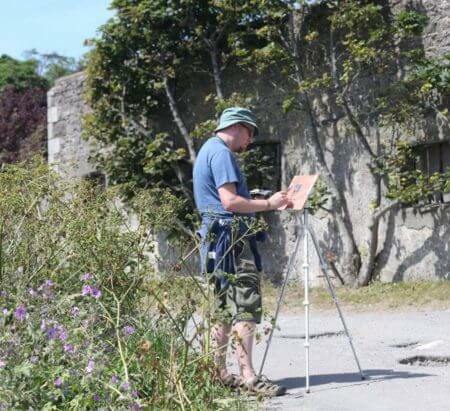 Hope the Dublin Plein Air team get some well deserved relaxing time now after a job well done. Just to say thanks for another great festival. I don’t know if it can be improved? It is well organised; the locations are perfect; it’s held at the best time of the year and there’s an athmosphere of welcome and comraderie. I’m looking forward to next year. I would like to say how much I thoroughly enjoyed the festival. I did not attend any workshops this year, which looked great – maybe next year. I personally loved Howth, and would loved to have spent another day there, as their was so much of interest to paint in the area. I really enjoyed meeting the participants – who were so lively and friendly. I would report it as being one of the best plein air events I’ve attended, and very well organized. A real credit to the team. Thanks Paul. Can’t tell you how much I enjoyed the Dublin Plein Air Festival. 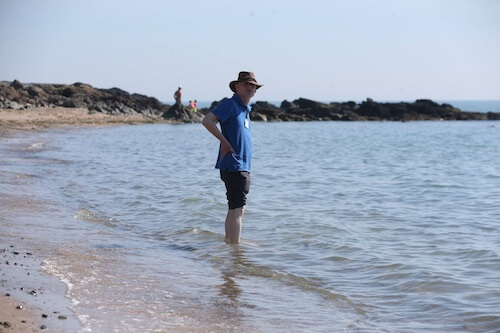 From balancing on the rocks to get the perfect spot on the beach in Donabate, basking in sunshine (and oils and turps!) in the picturesque Malahide, Balbriggan and Howth, dancing a jig to the colourful, roxy band at the barbaque in Rush, chatting with new found friends, comparing painterly notes and singing the praises of a wonderful, so well enjoyed, and so well organised festival. Yes, Dublin can be heaven! Thank you Paul and team!